Inspired by a dicussion in Linked-In - another muse on kowledge management value. There seems to be a school of thought that the value in Knowledge Management comes from improving people's access to knowledge (or to information). Even back in the 90s I remember someone coming into BP and explaining that you can measure the payback from KM by looking at how much time they spend seeking information after KM implmentation, versus how much time they spent before. I think this seriously underestimates the value. Imagine a project team, running a project. Yes, you could improve the efficiency with which they access knowledge. Imagine that previously they spent 20% of their time seeking knowledge, and that now that spend 10%. 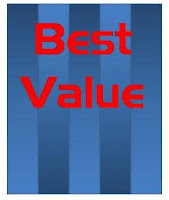 The value created by KM is therefore 10% of their time, or 10% of the project team salary bill. I would rather concentrate on what they can deliver for the project if they access better knowledge; if they learn before doing, to access better ways of working, if they avoid the mistakes and blind alleys explored by previous projects, if they tap into community knowledge to solve problems as they arise, and if they learn as a team to deliver the project faster, cheaper and more effectively. Thats where the value lies - not in their personal time saved, but in the more effective delivery of the project.